It is easier than ever to get swept up in how others say you should do your hair.But if I’m honest there were times that I did things that seemed unconventional to others. Before finger detangling was popular I remember a friend asking me what comb I used. I laughed and said what comb. If you could have seen the look on her face it was priceless. My statement literally ended our conversation. It was as if she was just at a lost after that. Now years later finger detangling is well-known and respected as common practice.I said all that to say you don’t have to justify yourself to anyone when it comes to how you style your hair. 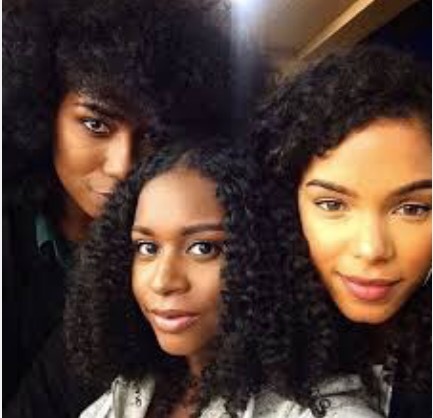 Think about it there are so many different hair textures.No two heads are the same.If you do your hair differently then someone else so be it, and who knows you may discover an easier way to do something that will help others. Now I’m not saying do anything that is un healthy for your hair. Don’t go throwing away your shears ,because you saw a hair treatment that is supposed to treat split ends. Don’t be drastic. What I am saying is that there is no crown lost from doing things differently. Remember, be happy, be curly, be you, and you will never fail. This Post was posted in Hair care and tagged #naturalhair # curly hair#twistout # braid out #bantuknot # haircare # hairtips. Bookmark the permalink.